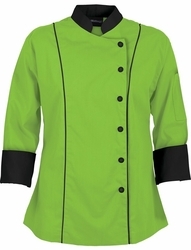 Look your best in the kitchen with this contrast chef coat. 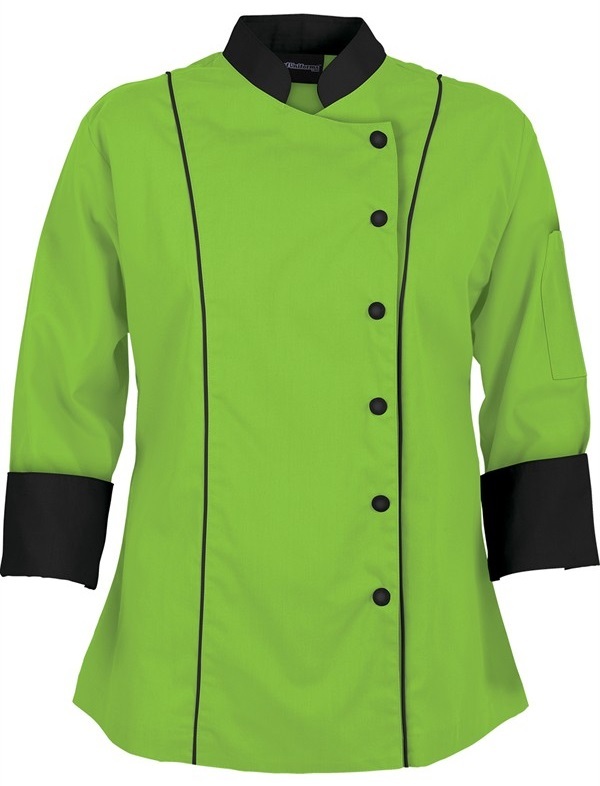 This traditional fit women's chef coat offers a contrasting collar and cuffs as well as contrast piping on the front and back. 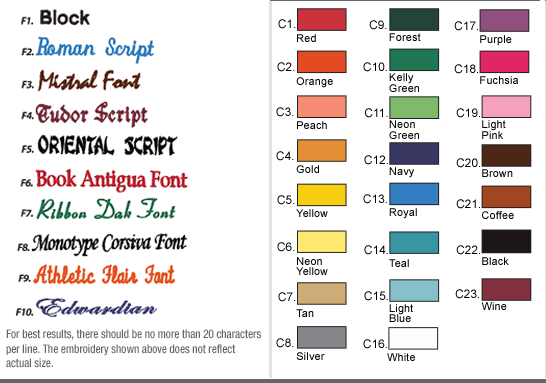 Fabric is 65/35 Poly/Cotton Fine Line Twill. 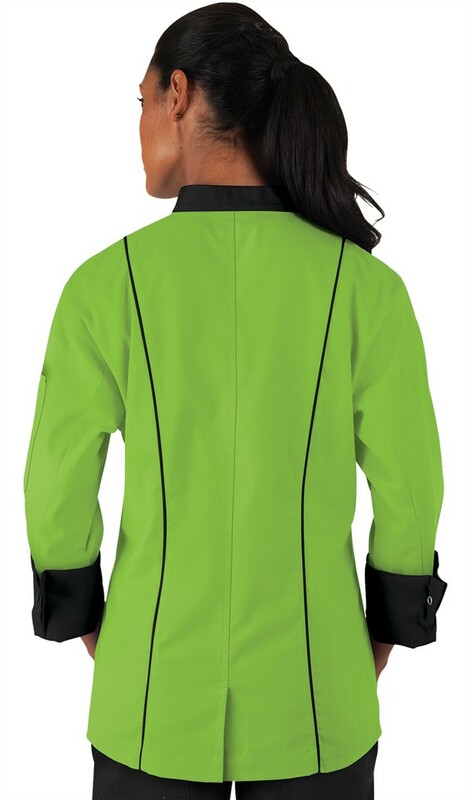 The three-quarter sleeves give you the protection of long sleeves with the comfort of short sleeves all in one coat. This tailored chef coat features a snap front closure, a two piece executive back and a thermometer pocket on the left sleeve. We've also added back vent and underarm vents to keep you cooler in the kitchen.